Brandon was born in Las Vegas, Nevada and grew up in a musical family. In fact, his parents met at Berklee College of Music where they both graduated. 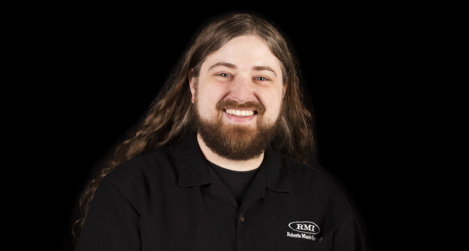 His dad, Rick Beligni, is a professional drummer and session player in Vegas as well as an audio/visual technician. His mother, Kelly Eisenhour, is a music educator and a vocal jazz recording artist who has received national recognition. Brandon grew up behind the scenes of the music industry, spending time in recording studios, backstage at Vegas shows, and years of watching and listening to his mother give voice lessons and coaching to would-be entertainers. At age 10 Brandon began taking piano lessons and quickly rose to receiving superior marks in piano competitions. At 12 he picked up a guitar and found the instrument he loved. He studied classical and jazz guitar at the Las Vegas Academy, a charter high school for Fine Arts. Though he considers himself a guitar player first, he has also studied percussion and voice, and has done both professionally. His eclectic musical tastes have led him to many diverse musical experiences. He has enjoyed singing jazz standards and playing jazz guitar in a variety of jazz bands, he has played drums in a professional country band, and has even played guitar and performed vocals in metal bands and recording projects. Brandon is proficient in a wide range of musical styles which include, but not limited to, jazz, classical, and metal. Upon discovering a love for teaching and particularly a knack for teaching young children, he began apprenticing under veteran teacher Jay Roberts to perfect his teaching technique. He has learned to implement the same proven methodology that Jay’s iconic father, the legendary guitarist Howard Roberts, created many years ago. Currently, he is working towards a degree in music, singing in an 18 voice jazz choir, and playing guitar in several jazz ensembles. Though he loves performing, his passion for teaching has given him the realization that his life work will continue to be focused in music education. Richard Page and Brandon Beligni. 2012. Richard Page and Brandon Beligni playing their arrangement of Nemesis by Aaron Parks. 2012.